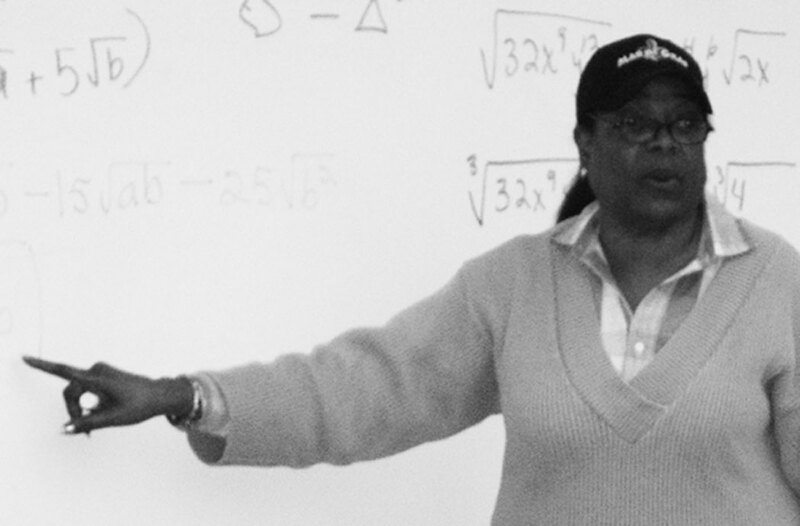 Skyline Math Professor Pat Deamer teaches students in the ASTEP Math Academy. Students in the ASTEP program include those who never considered college, have been homeless, are returning to school after years of raising a family, or are on court probation. For many of the students, someone told them that they are not college material, or they just never thought that they had the wherewithal to succeed in what they call hard subjects in a college. Yet these ASTEP students have been very successful! At the January 26 Board of Trustees meeting, Professor Deamer and Skyline Counselor Pauline Wethington delivered a compelling presentation about the impact that the ASTEP Math Academy has on the lives of students. The presentation described the effectiveness of the ASTEP model that integrates instruction with student services by having a counselor in some of the class sessions with the students and the instructor. Professor Wethington, who is referred to within ASTEP as the “case worker” for the students, provides complete counseling activities for students and whatever else they might need. She is often in the classroom with advice, scheduling, reminders of due dates for registering, student education plans, student success forms, etc. But in order to counsel students, she often has to schedule time in the office for confidentiality. There are also tutors in each class and there are tutorial times available outside of class twice a week for 3 ½ hours. Deamer and Wethington were accompanied by 16 ASTEP students who were all introduced to the Trustees. The students voluntarily expressed how this program has made a difference in their lives. They stressed that the program not only increases their success in math but it also increases their success in other areas such as Biology and English. Each of the students stood, stated their name, why the Math Academy is important to them and their GPA. They came with varied life stories and experiences. Though it is typical for others to classify many of the students as “at risk”, the students staked out a different identity. As they each spoke of their GPA, each of which exceeded 3.0, they claimed their identity, not as at-risk students but as scholars, destined to succeed because of programs like the ASTEP Math Academy. 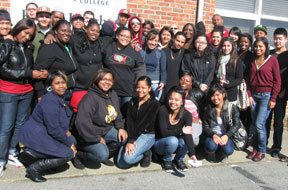 The ASTEP Program was created for African-American and all Skyline College students to increase their chances of remaining in college. The program is designed for all students to be successful in completing an AA/AS degree, certificate, and to transfer to a four-year college or university. 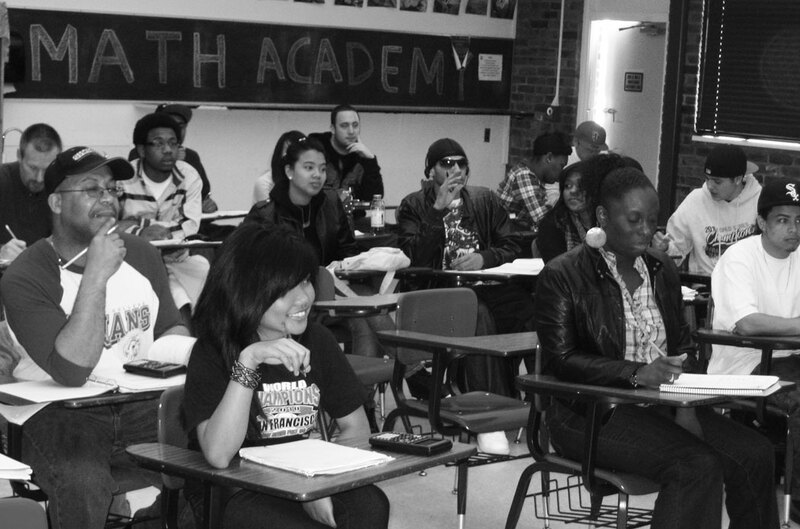 ASTEP Math Academy offers students an exciting and unique opportunity to select courses from an Afro-centric curriculum. The ASTEP components include core courses in English, Math, Career, Personal Development, African-American history, Black Psychology, African Diaspora and Tutorial Assistance, as well as mentoring, counseling and other support services. Some of the information for this article comes from an article published in Skyline Shines, produced by Skyline College President Regina Stanback-Stroud. Thanks also to Professor Pat Deamer, who contributed extensively to this article.